One of the more exciting bits of software coming out in November is not even a game, but rather a piece of "Maker" software. 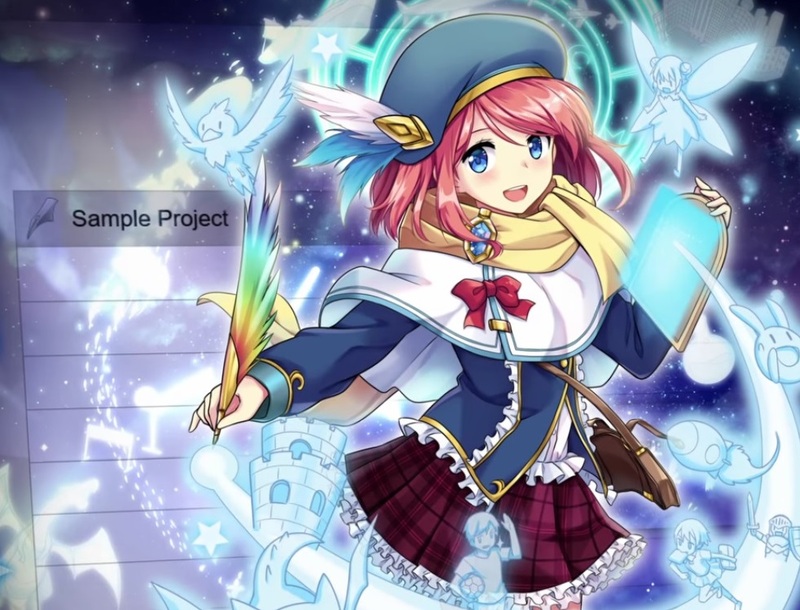 Visual Novel Maker belongs to the same "franchise" as the excellent RPG Maker games, and is being produced in collaboration between Kadokawa and Degica, just as the RPG Maker titles are. 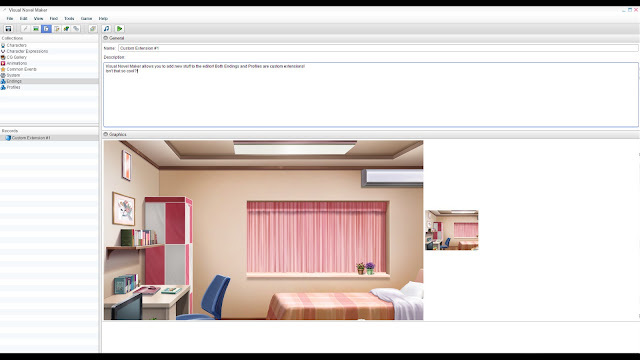 As with RPG Maker, the goal of Visual Novel Maker is to give users the ability to create compelling and interesting visual novels, without having to learn a whole lot of coding. For the visual novel genre in particular, where people just want to tell good stories, this is worth getting really excited for. And then, later down the track, if you want to create even more unique visual novels, you can start playing around with the underlying coding to fully customise the experience. 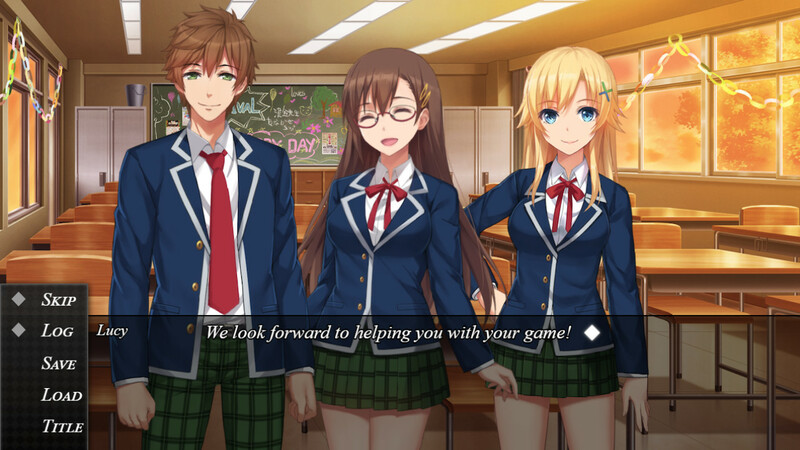 We sat down with the creator of the principal developer of the Visual Novel Maker software, Andre Radomski, to get a feel for what to expect from this software, and who might want to use it. Unlike RPG Maker, this software has been built with the full expectation that people will want to produce commercial games with it, so, if you've got the storytelling and artistic talent, this may well be a big opportunity for you, because as a number of hit games have proven recently, the visual novel genre is getting to be quite huge. Matt S: Visual novels are exploding in popularity. What do you think that people are finding so interesting about the genre? b) It's Choose Your Own Adventure in its purest form. In other words, it is like a good balance between a movie, a book and a game. It is like a film where the director controls the flow of the story. You cannot just skip to the end like a book or start anywhere at will. You have to go with the story. But it's still like a book that you have some visuals but it doesn't mean your imagination cannot roam free. You can still picture the scenarios in your head as you read the text. And lastly, the game part. Some visual novels use this medium to express a story that just cannot be translated into any other medium without resorting to ARG (Alternate Reality Game) or a huge Choose Your Own Adventure book. And even if they somehow manage to do that, the mood and atmosphere will not be the same and quite possibly not what the storyteller intended. This is even more important to visual novels since most of them are about romance. Hitting the right tone is important. Another example would be, how would you translate the visual novels 999, Ever17, Kimi to Kanojo to Kanojo no Koi and, for a more recently popular option, Doki Doki Literature Club, to a book or film? Your interaction with the universe through choices matters. The absence of grinding or what some people might consider "as a game" is in my opinion what makes it a pure Choose Your Own Adventure. Just how in-depth it is depends on your perspective. But the experience they bring in is something that only a "game" can deliver. Matt S: Do you think people have moved past the idea that visual novels are “not games,” or is that still an issue that game developers that work on these need to grapple with? Andre R: I think the audience that visual novel developers target are completely different compared to other genres and I'm not sure if that's something they struggled with or concerned about from the start. Some visual novels are more "game-like" than others because they require player interactivity to solve a mystery and could lead to a series of bad ends. Some are just aiming to give you emotional fulfilment from a possible lonely daily life or to spook you since... why not? Some are just aiming to tell a story and are probably more traditional book or film. In the end, the concern of a visual novel is delivering you a compelling narrative and experience without the constraints of other mediums. Matt S: There are a lot of pieces of software out there that allow people to make visual novels. Why do you think people will use Visual Novel Maker? a) GUI based engines with very limited features and where the editor cannot be modified, at least not in an efficient way, even if it's open-source, which makes it useless for professional development. b) Scripting based engines without a GUI/editor. A few of them have great features and are flexible but are difficult to access/use since it is necessary to learn scripting. In VN Maker, we combined both and offer a powerful, extensible GUI/Editor with professional features but still have the same ease-of-use as GUI based engines have. 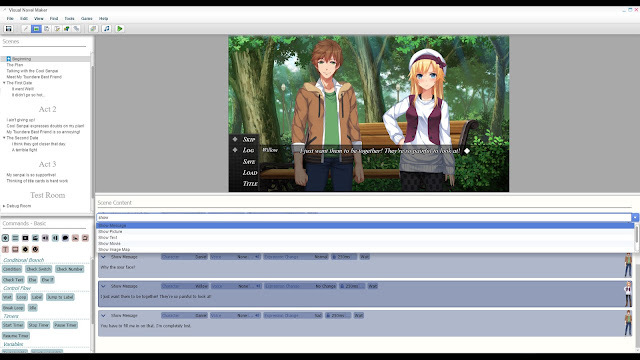 Furthermore, VN Maker offers scripting as well to customise/extend the editor and the entire VN engine. It is very open and also makes it extremely easy to share content with other users via extensions/plugins. In addition to all that, VN Maker comes with a bunch of assets such as characters, backgrounds and more, and even allows to use all RPG Maker Assets from all RPG Maker products published by Degica thanks to our partnership with Kadokawa, which makes VN Maker part of the "Maker Series". That gives users access to thousands of assets they can use to create their own visual novels. I personally don’t know any other VN Engine offering that. On top of that, we also have a unique partnership with Live2D Inc., which allows people to use Live2D technology even for commercial products without signing a contract with Live2D and without paying revenue-shares/license-fees to Live2D Inc.
Matt S: Can you see people using this software to make commercial projects? Andre R: Yes, definitely. VN Maker has been developed with commercial projects in mind, that was one of our main goals. It offers all the tools you need for that. Matt S: What do you think people will find most challenging in making a visual novel, and what advice would you have for people starting out with using Visual Novel Maker? Andre R: With a product like VN Maker, the most challenging parts are reduced to story and art. But even for art, as already mentioned above, VN Maker comes with ready to use assets and allows to use original RPG Maker Assets/ RPG Maker DLC assets. My personal advice for beginners is to start small and not to try to make the next big hit right from the start. With a small visual novel you can learn how to work with VN Maker and its powerful tools and also how to tell a story and learn a lot about game development in general. Matt S: When you play visual novels yourself, what do you look for? What makes for a great visual novel to you? Andre R: I have actually only played a few, like Clannad, Higurashi or Chaos; Head but I actually never completely finished them because I never had the time, hah. When I started to develop Visual Novel Maker, I looked into a lot of different kind of visual novels to get a good feeling about what players expect from a modern visual novel game and what makes them so popular but I never really played/read them to the end, I was more skipping through them. Matt S: At the moment you can export visual novels that you make in Visual Novel Maker to a few platforms - PC, mobile. Any chance that down the track support for game consoles can be worked in? Andre R: Please don’t take this as an official promise from my or Degica’s part but let’s say that we are working on plans to support game consoles such as Nintendo Switch and PlayStation 4 in the future. Matt S: Do you see room to update Visual Novel Maker going forward? What else would you like to add to the software? Andre R: Definitely! 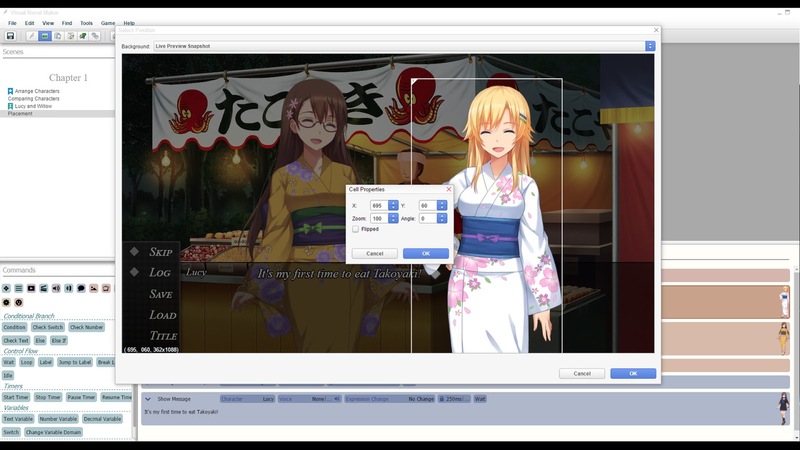 VN Maker is a new product and we will work closely together with our community to add new features and bug fixes. Matt S: We have RPG Maker and Visual Novel Maker now. What other "Makers" could you see being possible into the future? Andre R: I think it is possible, at least from the technical point of view, to develop a "Maker" for almost any kind of game genre. Unfortunately, I cannot give you detailed infos about if or what I have planned for possible other "Maker" titles in the future but let’s say that the ideas are already there. Matt S: Finally, when you're not working on Visual Novel maker, what games do you like to play? Andre R: Unfortunately, I rarely play games today. I still check out my favorite ones such as the latest Fire Emblem or Disgaea titles, but I have no time anymore to actually finish them. When I was younger I had much more time, I mostly played JRPG games such as Fire Emblem, Disgaia, Final Fantasy (8, 9, Tactics), Breath of Fire (2 - 5), Eternal Eyes, Pokemon, Azure Dreams and so on.